Fran’s husband was taken from her in the prime of their lives. They had four beautiful young children and a comfortable lifestyle. Without warning, the car salesman was taken for a drive and murdered. The family was plunged into unimaginable anguish for 10 months, before the body was discovered. There was intrusive police and media scrutiny and the children were harassed at school. There was no child support for Fran; she became a full-time working single mum and the children had to pitch in without their loving father as they walked through the unimaginable grief and cruel stigma that comes with this kind of tragedy. 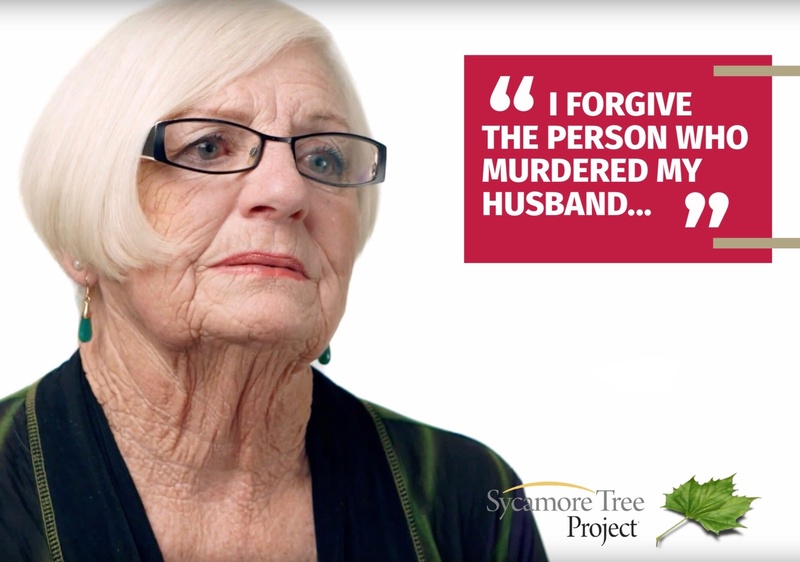 When Fran walked into prison to experience Prison Fellowship’s Sycamore Tree Project (STP) for the first time, she was terrified, but was compelled by a forgiving spirit. This forgiveness has incredible power to get through to difficult people and soften hard hearts. The prisoners expected angry judgement from the crime victims who came to share their stories. But when they meet Fran, they got the opposite. In her seventies, she is the big-hearted, straight-talking mother figure that maybe they never had. When she looks them in the eye they suddenly drop their guard. Her compassion and kindness give her words extra weight, and her story brings tears and transformation. Fran had plenty of reasons to be bitter, and for many years she was. It was during one of her bouts of resentment toward God that she happened to read Psalm 68:5. It was a profound moment of insight. Through this spiritual awakening, Fran began to process the idea of forgiveness as something to be passed onto others. Looking back on the years of struggle, this reflection was once unthinkable for Fran. During the program we talk about confession, taking responsibility, and repentance, but it is the living, breathing examples of forgiveness that give the program extra punch. Jesus taught us to love our enemies, and the practice of forgiveness lies at the centre of the Gospel. Fran’s forgiveness has brought her freedom. It is contagious to prisoners, her friends and family. Two of her adult children, Michelle and Belinda, have followed in her footsteps, joining STP to tell of their own experience of tragedy and forgiveness. More than a pathway to personal peace and growth, we are learning that forgiveness is also a psychological tool for breaking down the criminal mindset.